At 35 percent, Illinois ranks sixth in the nation when it comes to the percentage of state legislators who are women. (Arizona is in the top spot, with 40 percent.) That’s according to the Center for American Women and Politics at Rutgers University’s Eagleton Institute of Politics. 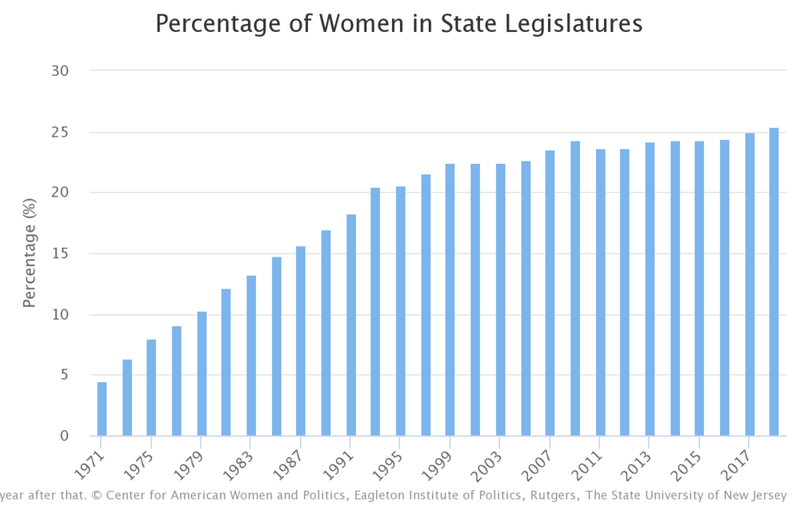 Nationwide, there are 1,876 women serving as state legislators – just over a quarter of the 7,383 overall, according to CAWP. Figuring out how to intentionally get more women to run for office in Illinois is the focus of the new, nonpartisan Anti-Harassment, Equality and Access Panel founded by Mendoza, state Sen. Melinda Bush and state Rep. Carol Ammons. Together, the group aims to help eliminate harassment in the workplace, including within government. To do that, the panel is hosting listening sessions across the state for women who have worked on any party’s political campaign in Illinois. Panel members hope to offer a safe space for participants to discuss their experiences, and notes from the sessions will be used to create a list of recommendations for all parties to follow. The recommendations are set to be released in mid-August. “So the work of this panel is going to be forward-facing,” said Mendoza. So far, three sessions have been held, including this past Sunday in Chicago and Rockford. Tchen, a partner with Buckley Sandler LLP and co-founder of the Time’s Up Legal Defense Fund, says another problem in addressing workplace harassment is the law. Mendoza and Tchen joins us to discuss the panel and harassment in political workplaces. Three more listening sessions are coming up, on July 15, July 23 and July 26. For more information, visit the panel’s website.